When was the last time you wrote a book review for one of the novels you read? It’s something every one of us was required to do at least once in our school career, but is it something that belongs only in the school curriculum, or should you still be making an effort and why? To inspire your favourite authors to write more of what you love. Every writer loves to get feedback about their novels. The more detailed the feedback, the better. We love to hear about what you like and even what you don’t like. There is nothing better than reading a review of someone who just ‘get’s it’, who understands the message and loves the telling of it. We’re human too, and your encouragement keeps us excited about our work! To help others choose the right books. Whilst book blurbs are informative, they are limited and they are written to tease and entice us to buy. Just because the book is about vampires, which you might love, also doesn’t mean it’s the next ‘Twilight’. In this day and age of self-publishing, with more than one million new titles being published each year, many of us rely on the reviews of other readers to guide out literary choices. It saves us time and money and gives us realistic expectations before we make the decision to buy. What is the book about? It’s almost like writing a book blurb, but you’re writing it from your own point of view. What do you think the book is about? What message does it portray and what is its purpose? What did you like about the book? Was there something about the author’s use of language that stood out for you, a particular character that caught your fancy or an unexpected plot-line you didn’t expect? What did you not like about the book? Yes, it is okay to mention the things you didn’t like too, but please remember to be kind. Authors are people too, so be honest but tactful. Criticism must be useful and positive, never mean. The idea is to help us improve our work, never to break us down. Would you recommend this book to anyone? Who do you think would enjoy it? Are there any other authors’ works that may appeal to a similar market? 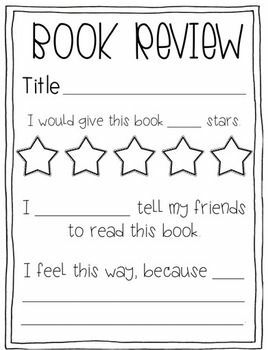 So put some of those good grades to work and start writing your reviews, and remember the golden rule of reviewing – always be honest! Truer words were never spoken! As an author, I have to agree with you on this post Caroline. Great post! Fantastic point!